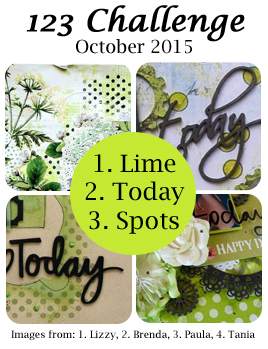 one unorganized mess of a woman: Lime Spots at 123!! I did this page from a perfect day spent taking my darling daughters out for bubble tea at our favorite vacation tea shop. I added some orange to contrast with the lime. I had this dotted lime paper forever, and it was nice to finally put it to good use!! 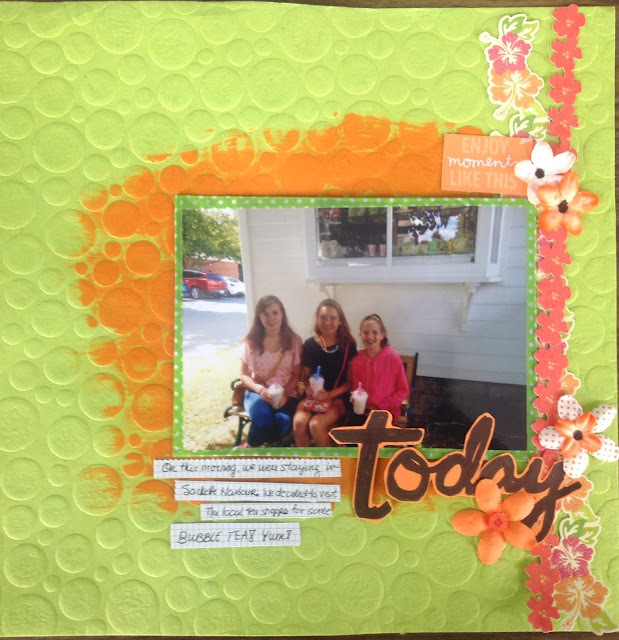 Hi..Your layout looks amazing, the colors are vibrant and eye catching.. thanks so much for joining in with the 123 Challenge blog this month!